On this page, you can find our terms and conditions. You can cancel your room within 72 hours. The cardholder must be present at check-in (except for company payments, which must be arranged in advance). The hotel reserves the right to pre-authorise payment cards before arrival. Late check-in (after midnight) is only possible if the hotel is informed in advance. Otherwise, the reservation could be cancelled. Breakfast is served from 07:00 – 09:00 Monday to Friday, and from 07:30 – 09:30 on weekends. The hotel will charge for 3 nights if a booking is made for New Year’s Evening (December 31st). Please provide the hotel with an estimated time of arrival. Room can be located in the basement, ground floor, first floor, second floor or third floor. The property does not have a lift. 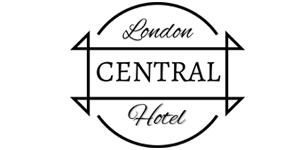 Please inform Central Hotel in advance of your expected arrival time. You can use the Special Requests box when booking, or contact the property directly with the contact details provided in your confirmation.